Ronald's jalopy race cars are featured in a magazine article for "Car Kulture Deluxe," available NOW on the newsstands or at your favorite bookstore. 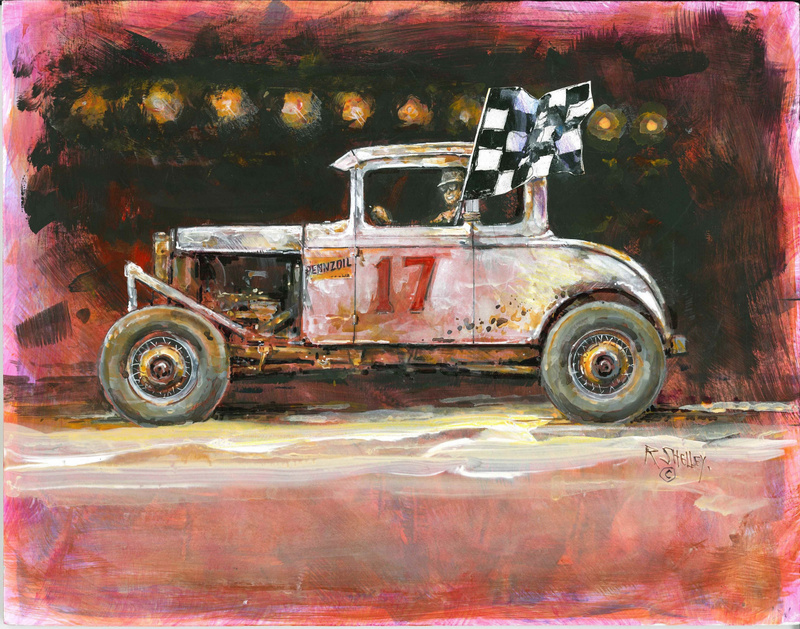 "Head On, The Art of Ronald Shelley," tells the story of how the artist became interested in painting racing cars and what they mean to him. Ronald says, "There is something organic about the way jalopy cars and racing evolved into a form of folk art. It was relatively inexpensive to do. Get a car from the junkyard, remove the windows, strip out all the unnecessary weight, tinker with the engine, and have a go." The article is written by his wife, Donna Shelley, a freelance writer and non-profit consultant. Dade Heritage Trust's headquarters in Miami's financial district hosted a show of Ronald's Florida-themed paintings during the month of March. 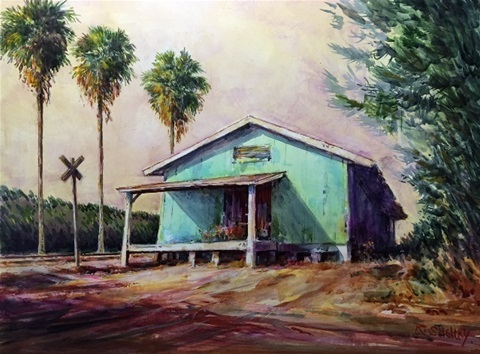 Works depicting abandoned packing houses, railroad depots, and cattle chutes, and landscapes hung in the historic home that was Dr. Jackson's surgery.